I’ve spent this week working on Fódhla. I’ve not felt the need to chop and change projects at least for now anyway. I am now at the stage of adding on the border and it is over half way added on. I am expecting it to be cast off this week. It may or may not make it to the blocking mats but considering I picked it up just a week ago to work on it I’m quite happy with that. Of course I’m not going to give a full glory shot, that will have to wait for its reveal but here is a teaser. 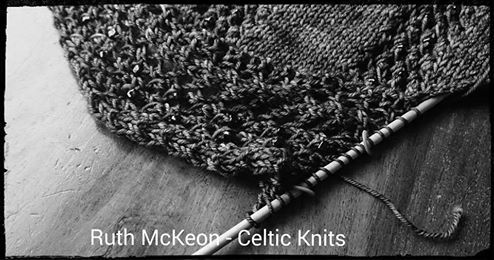 When I’ve not been knitting I have been getting two designs I worked on over the Christmas period ready for printing up so I can work on the samples of them. These are some new yarns I took delivery of just before Christmas, they are destined for these samples. 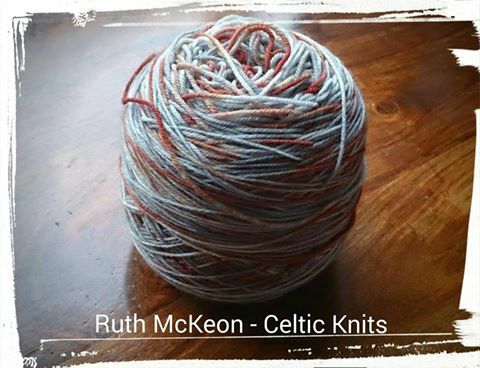 To read other blogs taking part in this yop year or to take part yourself, check out the Ravelry group here. My project page can be read here with notes on completed projects so far this year. This entry was posted in Celtic Knits, Designs, Knitting, Year of projects and tagged Fodhla, new yarn, Shawl. Bookmark the permalink. Math – the reason I’ll never design….good luck with it all…. Your creative juices are flowing again! Am anxious to see what you will have flying off your hooks/needles soon. Yes they are and it feels wonderful to have no calls on it and being able to just let loose and design. They are both from Life in the Long Grass and a wonderful yarn to work with. Love the yarns and plans! Oh just the border looks great, looking forward to seeing the whole thing. And the new yarn looks lovely and squishy! Can’t wait to see your latest design in its full glory as I know it’s steeped in Irish history. Love the look of the design you are working on! U r so talented!! 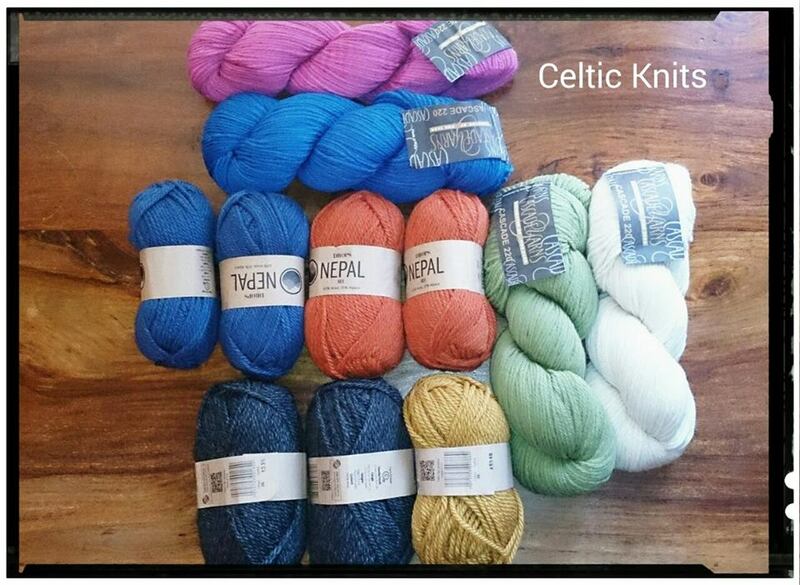 And you have some pretty yummy yarn lined up for other designs too! I got a ball winder for Christmas so I’m going to be saved lots of time in winding those babies up! Look at you! A quite proper designer. 🙂 I love the teaser picture and really want to see more! Your comment on my blog about your brother following our Seahawks made me laugh. I always feel like the rest of the world pretty much ignores our American football. Our team is pretty darn exciting to watch right now though…. I did love Downton last night–do you watch that series too? He’s into all kinds of sports and last year when you all made the Superbowl is when I realised he’d been watching you all along and I hear him talking about your team again this year. It makes me smile to think about it really. Yes I watch Downton but we have to wait now for the next series. Really looking forward to seeing Fodhla all finished!